Technology-driven disruption is reshaping not only our homes but the business world, challenging established business models and making many time-tested formulas for success obsolete. Company and industry boundaries are blurring, customers are expecting more, technology choices are overwhelming, and new forms of competition are entering your market. It is a CEO’s and CDO’s obligation to harness this constant change and manage a company’s brand to build not only a strong digital portfolio and presence but also an approach that protects the key to survival – your customers. Customers are trusting companies with their data, surrendering intimate information about themselves from credit card transactions to personal photos in return for convenience, personalization, and social capital. It is a company’s responsibility to protect consumer data from both external security threats and internal misuse solely for organizational gain. In 2000, Amazon.com customers were outraged when they discovered that their spending history and demographics were used to display higher prices. The personal use of customer data has continued to be a controversial topic of ethics for companies. However, personalization has its benefits. Without it, consumers wouldn’t be able to know the weather in the current location, find the next greatest show to binge, or easily reorder frequently bought items from a grocery list. This careful balance between personalization and privacy has further driven the importance of data-driven testing for software quality teams. Company brands are at risk when product teams use past data for data-driven testing without accounting for future changes in a customer’s preferences. Facebook houses over 90 billion photos and 200 million from users alone. In 2015, Facebook compiled select user photos throughout the year to provide a recap, which they coined ‘Year in Review.’ However, what they didn’t realize was that some of the happy photos inadvertently reminded users of tragedies such as deceased family members. For one user, his daughter who had passed away earlier that year was the face of his ‘Year in Review,’ leaving him distraught. Information about general customers costs USD .10 per individual; whereas, market research companies charge up to USD1.50 to identify a pregnant woman, making the market for expecting mothers more valuable to a retailer. Target Corporation uses the information they collect on each customer to populate a pregnancy prediction score to send personalized mailers. When leveraging this data, Target inadvertently notified a father of a high schooler that his daughter was pregnant before she could tell him, leading to yet another breach of privacy. If companies want to increase customer retention, personal information should not be a static data set, and companies should not hypothesize user preferences based on a few points of data. By marrying data-driven testing with test automation, companies can scale different customer scenarios and paint a holistic picture of their customers. By aligning your corporate strategy with your software quality team, companies can better protect their brand equity. Customer perceptions drive a company's image, and brand advocates need to make customer experience a software quality metric that your product teams can aspire to. Most importantly, make room for software quality teams at the head table and give them the tools they need to succeed. Different teams within software quality may have disparate needs from automated testing to exploratory testing to cross-browser testing. Accommodate the democratization of your internal tools to increase accessibility to new ways of working and accelerate teams toward a higher standard for customer experience. The exponential growth and accessibility of customer data in today's digital age have had a ripple effect across industries to rethink their brand strategy. Without scalable solutions that allow companies to address consumer needs quickly or promptly respond to customer reactions, more companies will be left behind by their forward-thinking rivals. It is a CEO's and CDO's organizational imperative to bring alignment with software quality teams to ensure its brand is impenetrable. Akshita Puram is a subject matter expert and thought leader in digital transformation and software testing. She manages the software testing portfolio at SmartBear, which includes award winning tools such as TestComplete, TestLeft, CrossBrowserTesting, and Hiptest. She loves to talk to testers on adopting practices for an agile world, including AI-driven UI testing, shifting left, and behavior-driven development. More recently, she walked hundreds of webinar testers and QA managers through how to adopt shifting left and measure their ROI for automated testing. Akshita has over 10 years in the software technology industry working as a system architect, tester, and IT consultant. 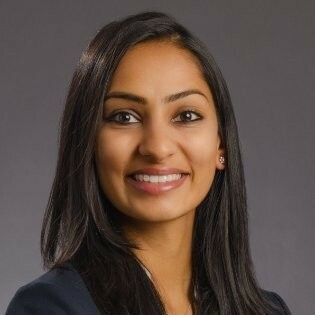 She has an MBA from MIT Sloan and has also been published by DZone, TheNewStack, Cucumber, Capgemini, MIT Initiative on the Digital Economy, MIT Sloan, and SmartBear. Akshita Puram, Product Marketing Manager, SmartBear sees a strong need to align software quality with brand strategy.